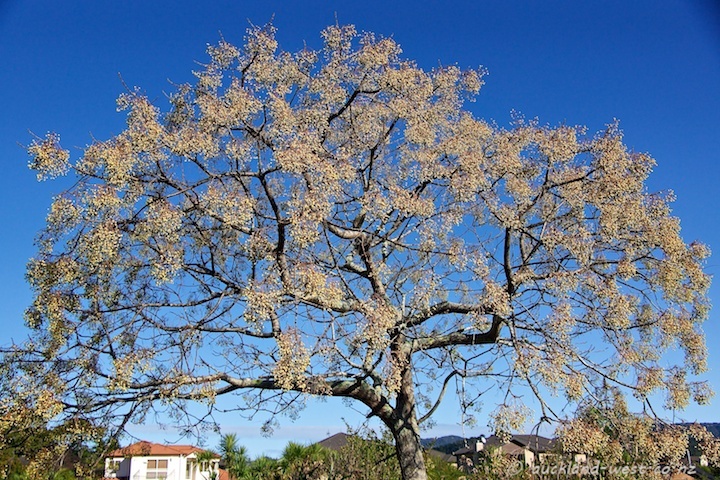 I found this fine example of a Chinaberry Tree (Melia Azedarach) in San Marino Drive, Henderson. Also known as White Cedar, Persian Lilac and Umbrella tree. The fruits are poisonous to humans, and it appears that they are not too popular with birds either.